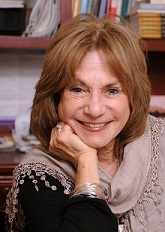 Making Our Lives a Blessing – Judith Ruskay Rabinor, Phd. Healing remains one of the genuine mysteries of life. Throughout history, artists, poets, writers and healers have grappled with the question of what heals. Psychotherapy is a relative newcomer to this quest, for as therapists, ours is the work of healing. Ancient healers speak of creating moments of “spiritual transmission,” where a personal connection to the sacred is a crucial factor in healing. I have, at times, felt privileged to be a participant and witness to extraordinary moments of spiritual connection. Cultivating an appreciation of the healing power of the spiritual is explored in this chapter/piece. As therapists, it is our own lives that are our greatest teachers. My relationship with my sister in law, Shira Ruskay, has drawn me into a deeper appreciation of the spiritual. As a young woman, a lifethreatening battle with Hodgkin’s disease left an indelible impression on Shira’s mind, body and soul. Surviving cancer, Shira was first and foremost, a fighter. From an early age, she had a rare appreciation of the fragility of life. Never totally free from the worry that haunts most survivors, Shira, none-the-less, developed a unique zest and passion for growth, a deep relatedness and the exploration of her soul. Just past 50, cancer has struck once again. Her fight for her life permeates many aspects of my heart, my mind, my self, including my psychotherapist self. What enters our lives enters our work; this piece explores how the spiritual has entered and deepened my work. From the Mi Shebairach, the traditional Jewish prayer for healing. Join me in the Monday night eating disorders group. “I’d like to start,” says Julia, a gaunt, blond haired woman in her early 30’s, dressed in silky black Lycra leggings that emphasize her protruding bony kneecaps, her emaciated thighs. Six other members of the group, all women suffering with eating problems, wait while Julia stares down at the floor and anxiously winds and rewinds a long strands of blond hair around her finger. She is visibly agitated. Julia has been attending this group for almost a year. The birth of her second child, Alexis, at age 31, triggered first, a depression, and later, a retreat into a cold, lifeless world of anorexia nervosa. Prior to seeking help, Julia spent months secluded in her elegant ranch home located in the heart of suburbia, fasting, exercising, and devoutly pursuing diet after diet. It was only after fainting during an intense summer heat wave, that her husband urged her to seek help. Like Julia, the other members of the group are struggling with their own internal demons. Unacceptable feelings of depression and rage, helplessness and anguish, unnamed conflicts and traumas have been transposed into the relentless pursuit of thinness, for the symptoms of disordered eating; binging, purging, obsessively counting calories always mask a deeper ache. For months the other group members have grappled with understanding their own demonic questions: Am I thin enough? Can I eat this apple? That morsel of bread? These crackers? — Questions that mask, reflect, and contain other, more painful questions, such as: Do I have the right to nourish my hungry self? Am entitled to be nurtured? Am I lovable? For while eating problems– anorexia, bulimia, compulsive eating and compulsive dieting– appear to be a quest for thinness, these complex disorders protect the sufferer, keep her disconnected from her own agony as well as from others, keep her hungry–starving for nourishment, nurturance and connection. Finally, Julia speaks. After a great deal of soul searching and deliberation, she has decided to be hospitalized. She will be leaving for California early the following week, she announces. At first the room is silent. I wonder how the other members are responding: with fear that her defeat in her battle with anorexia is contagious? With envy that she has taken charge of her life? With pride that they have been part of her decision? Slowly members speak up, expressing concern, support, caring and hope. Julia’s animated look reminds me of how nourishing deep conversation can be. Their words, I notice, feed Julia. As the others question Julia, I am aware that my mind is wandering, adrift in an ocean of tumultuous feelings. First, I experience relief and comfort. This decision, to hospitalize herself, is long overdue. For months, we, the treatment team, have urged her to seek additional help. In deciding to hospitalize herself, she expresses a willingness to reach out to others, to ask for help and connection, a major accomplishment for a person who has taken great pride in not needing anyone, anything, not even food to nurture and sustain her. Recent bouts of dizziness and heart palpitations have frightened her, me, the Monday night group, the other professionals on the team. Her weight has been lower than ever before. Although a hospital stay is certainly not a long term solution to anorexia, Julia has been unable to eat and had gone downhill, physically, emotionally, spiritually, for the past two months. Her weight has slipped from 100 to 89 pounds, far too meager for her tall, lanky 5’5″ frame. **Who will take care of you children? **How has your husband handled this decision? And what did your parents say? **Your boss, your co-workers, the neighbors? **And you…how are you with this decision? The room is warm with love and support, and I feel like a proud Earthmother, for creating a climate of connection, safety and support has been a goal, a struggle and a joy. And finally, I am distressed and exhausted. Feelings of self doubt and failure lurk not far beneath the surface. What has gone wrong that after a year of treatment, Julia’s anorexic symptoms–starving, exercising and relentless pursuit of thinness have increased, not diminished? What has been ignored, avoided, kept out of the treatment? What has she been too terrified to know? What have I been too terrified to uncover? A year of hard work and much emotional growth, yet food remains the enemy. Neither my own efforts nor those of our team, my respected colleagues, have helped her crawl out of her agonizing anorexic abyss. “I have everything to live for,” Julia says, but….” Her voice trails off. Silently I fill in her unfinished sentence…, for I know that she is conscious of all she does have: a loving husband, two small daughters, a luxurious home. And yet, in the midst of life’s banquet, she is starving. It is in the midst of the two most sacred days in the Jewish religion, Rosh Hashonah and Yom Kipur, that the group is meeting. These days cause us to reflect upon life’s most profound themes, for on Rosh Hashonah, we pray to be inscribed for one more year in the Book of Life, on Yom Kippur, we are asked to remember the dead. The melodies of these holidays hum in my heart: the fragility of life, the finality of death. The awareness of just how precious and precarious life is has suddenly, with my sister-in-law-Shira’s illness, an ever-present reality, taken on new meaning to me. It is with me constantly, as I drive my car, as I wash my dishes, as I sit in my office, as I sit in this group. “I know I have everything to live for,” Julia says repeating herself, “Yet I am stuck. I can’t eat, and now, I am scared.” She is scared to be hospitalized yet she is frightened not be hospitalized. She is terrified to eat, yet petrified to not eat. She doesn’t want to leave her children yet she doesn’t want to die, for she has two daughters, and for them, she must stay alive. Just the thought of eating petrifies her. I want to shake her. I want to hold her. I want to encourage, bribe, beg her. I do none of these things. Instead, I try to join her where she is, in her search for healing, growth and wholeness. For there is a profound yearning in each of us to grow. Growth is innate. But eating disorders thwart growth, and paradoxically, although a starving woman presents herself as needing less– less of everything: food, nourishment, nurturance, exactly the opposite is true. She needs more, and it is wholeness she yearns for. How do we help our patients feel more whole? We facilitate the journey to wholeness by helping a person be present, awake, attentive and responsive to all of herself: to her broken and her unbroken parts, to her dreams and her darkness, to her hungers, appetites and desires. We facilitate that journey by acknowledging that the profound yearning for growth pulsates through every human heart, even a heart that seems shriveled and on the path of decay. What does Julia need now? I wonder, remaining silent as the question resonates in my heart. “What does Julia need from us, now?” I ask the group, emphasizing the present, for regardless of the particular terror, the unique agony one brings to therapy, regardless of the fact that pain may be rooted in the past; it is in the present that we heal. “You are scared, but you are braver than I could be,” adds Lori. To be brave in the midst of being scared or to be scared in the midst of being brave is what Julia faces now. These words echo, and Shira’s face emerges, for in her battle with an aggressive, life-threatening cancer, this is exactly what Shira faces: being scared in the midst of being brave. “To appreciate what we are– all we are– is a challenge for everyone,” I say softly. I phrase my statement purposefully in this way, for to acknowledge the universality of her dilemma highlights her connection with a larger community; lets her know she is not alone in her pain and suffering; reminds her that we are all broken, wounded, scarred and scared. “What gifts does Julia have that can help her live with being scared?” I ask, wanting to communicate that Julia, like all human beings, has an innate healing potential. Being reminded of her strengths will help her as well as the others grow and heal, for when we go to where we are not broken, we allow ourselves to become caught up in the ever-widening ripples that speak of nature’s energy, to the life force. I want to name, label and articulate her pain in words, call them her scared feelings, for Julia, as others with eating disorders, has difficulty putting her pain into words, and instead, too often expresses pain in her body. I struggle to help her experience her experience, to speak of being scared and frightened, for this capacity — to know, accept, embrace, welcome and endure our darkest feelings is at the core of reclaiming our wholeness. Julia chuckles. No one in her family thinks she is as funny as our group does. “I will miss your warmth,” says Randi. “You brighten my Mondays.” Susan shrugs; I sense she is unable to take in Randi’s nourishment: praise and authentic warmth. “You are so brave,” says Abby. “I admire you for going,” as she admits to the wish that she had gone to the hospital before her bulimia escalated, robbing her of years of living, eroding her hope. “You teach us about courage,” I say, startling myself as I mouth the very words from the healing prayer we sing for Shira, words and a melody that now echo inside of me: Help us find the courage to make our lives a blessing. To find the courage to make one’s life a blessing is a new way I have come to understand my work as a therapist. This stance is a far reach from my graduate school training, which emphasized normalcy, pathology, developmental pathways gone awry, and symptom relief. Being a therapist has always been an awesome experience for me. Everyday I sit, privileged, on the edge of unknown universes, as I struggle with my patients. Together we seek wholeness; together, we seek the courage to make our lives a blessing. When you are young, life is forever. A famous line from Shakespeare sums up the perspective of youth: “They were just two boys, sitting on the fence, thinking that summer was forever.” But summer is not forever, and either is life. It is this fight against cancer that has enveloped Shira, my brother, my entire family that has brought to my consciousness the urgent reality of this message: we must find the courage to make our lives a blessing. Seven months ago Shira was sentenced to a harsh decree: cancer had invaded her spine and her lungs. Next came her brain. Her soul shook. Mine, too. Her decree hovers over her life, my life, the entire universe, including my office, for when I am truly present in my office, all of who I am is there, resonating, humming, vulnerable to being touched. Seven months ago I entered a time warp. Ordinary time stood still as the reality of her impending death seeped into the cracks of my life. Daily phone calls: her mother, my mother, her sister, my brother, my caring friends, her caring friends, the network grew; an everthickening web of connection became integrated into my life. How many lives crack open when one brick splinters! Persistent images of decay infused my consciousness as I dreamt about her and her dashed dreams, as I wept, for her and for myself. My own need to appreciate life– ordinary life– deepened. Everywhere I traveled the same theme greeted me. I found myself compelled to ponder, probe, reflect upon, mull over the echoing refrain that became a steady mantra and could not be quieted: Help me find the courage to make my life a blessing. Abby sits in my office, weeping. She is 23. She graduated college almost a year and a half ago, yet is not working. She has gone on more than two dozen interviews; received a resounding “yes!” from most employers who enjoyed her sparkle, her talents, her zest. Interviews were, for the most part, followed by being hired. A brief period of employment was inevitably followed by feelings of hopeless, helplessness, defeat and finally, quitting. Each defeat triggered a deeper sense of failure and shame, and failure and shame trigger binging and vomiting. She has been trapped in this downward spiral for two years. Today’s tears speak of a new loss, for just yesterday she once again left an office that only last week seemed full of promise. Abby knows that her problem is deeper than simply locating the right job. Deeper than binging and vomiting. She is defeated and lost. We have been talking about this for months. “I can’t leave home,” she explains to me from her head. Abby has been in therapy, on and off, since she was 12. She recognizes only too well that something has gone amiss; that instead of moving out and moving on, she is trapped at home taking care of her depressed mother and an angry father, parents who were gypped and starved as children and now struggle nourish themselves and their daughter. She takes great pleasure in mulling over the origin of her suffering. So easily she becomes bogged down in the murky questions raised by her clearly neglected childhood. Perhaps she was overprotected by her mother who herself was an unwanted and neglected child. Perhaps her independence was stifled by her father, who never resolved his own painful feelings of abandonment, for his father was lost in a a tragic fire when he was three. Perhaps she is heiress to a legacy of female powerlessness. Perhaps she is a sacrificial lamb. All of her hunches have some validity. But intellectual understanding and insight do not help her change, move out, find work or grow. Words, the talking cure, are not releasing her from her rituals of self denial, are not helping her feel more connected to herself or to me. She is stuck and we both are weary. I invite her to leave her head, her intellectual theories and ideas and first, to breathe deeply, hoping to create a quiet place, a sanctuary where she can pause, dream, reflect. “Take three deep breathes,” I suggest, instructing her to go inside to her heart and soul, to a place where we may become more enlightened about her blocks, may learn about the agonies that have eroded and corroded her zest for life, her confidence, and the courage to make her life a blessing. Freud taught that life offers two blessings: the courage to love and the courage to work. Abby is unable to do either, now. Abby closes her eyes, breathes deeply and within moments, has entered an inner sacred space, where she accompanies me on a journey within. “You are standing on the porch, at the door of your house, saying goodbye to your Mom, your Dad, your sister Sandi, the two puppies,” I instruct her. “Look into their eyes and see what gifts they give you for your journey, as you prepare to leave.” Within seconds she finds herself on a barren desert with their farewell gift: a compass. Alas! The defective compass fails her and alone, she wanders the bleak desert, its stark terrain a metaphor for how she feels on the inside: lost, desolate and desperate. Again she is stuck, trapped. “How can I get out of here?” she wonders. “May I join you?” I ask, and together we wander the desert. Eventually she sees a glimmer, and as the first rays of sunlight are visible, the blackness is once again illuminated and our search resumes. As we continue to search, I find myself breathing more easily, for cultivating this capacity– the capacity to search– is at the heart of psychotherapy. It is also the essence of the spiritual journey that has penetrated my work as a therapist. We bring spirituality into our work when it is in our hearts and our consciousness, when it is part of our search. And the spiritual has entered my life in a new way now. From this consciousness, I ask Abby to explore the desert: its frightening deadness and the rays of sunrise. She slows down, breathes deeply: relaxation in, tension out, deep breathes. I ask her to recall all her interviews and all the jobs she considered, started, quit during the past year. She is quiet and as she recalls, reviews, relives and reclaims her memories, her history. I wait. A smile appears. The body does not lie. I inquire about her smile and follow her energy inward. Vividly she describes a memory: a flash of momentary fulfillment is recalled. It was the three weeks she spent working at a rehabilitation center, where she helped a six year old, Arthur, learn to read, make a friend. Her face is aglow as she speaks of the young boy, Arthur, partially paralyzed from a car accident. She describes her pleasure at being helpful, a pleasure that was short lived, predictably eroded by feelings of anxiety which caused her to once again quit work within weeks. I encourage her to stay with the image of helping Arthur. “I see us together,” she says, as she describes a walk she and Arthur took in an autumn woods. “Stay with the glow,” I suggest. The glow becomes a dim light, then, a flame. Both of us have our eyes closed. “Does the flame remind you of anything?” I ask. It doesn’t. When she goes inside, she faces blackness, blankness, an empty void, the cold desert where she is stranded. I am sitting in synagogue, staring into the Eternal Light, a symbol of hope, life, invincibility and endurance. I stay with my image, and my internal world expands: there we are in the synagogue: Shira cradled in the arms of her husband, my brother, their children, her parents, my husband, my mother. Our eyes are dark with fear, yet hopeful for life’s light to shine on Shira, to shine on us, as we connect anew in a deeper way than ever before as we pray, beg, plead for mercy, for life. I wonder what to do with my feelings, my images, how they could be relevant, if in fact they are relevant, whether to speak, remain silent. Together we breathe, in and out, in and out, and eventually, I take a chance. “Your flame reminded me of a flame within me,” I say, and I ask her if she would like to hear about my flame. She nods. I check in with her and say that I remember that she, as I, had attended synagogue for Rosh Hashonah, yes? Again she nods, she did. “Your flame inspired me and reminded me of a flame within me,” I say. I have made the decision to share with her my hope and my belief: that healing awaits. I tell her how I saw my flame grow, and suddenly, it became the Eternal Light in the synagogue I attended. I ask her if she can see the Eternal Light in the synagogue she attended. Another nod: Yes. By being open, vulnerable, and authentic, by sharing my internal flame I hope to awaken hers. I hope to convey to her that if we stay with the darkness, the shadow of our pain and despair, we will always go somewhere, and where I went was on a journey, back to my roots. I tell her that her flame made me think of the flame first, in my synagogue, which brought me to a film I had just seen, where Jews of the Holocaust prayed together, lit a candle in a moment of despair. In my journey, I sweep back across space and time, to Europe and to the before: to the Era of the Maccabees, through generations and centuries of Jews who survived and withstood pogroms, to the stories told by my grandmother of how, though hidden in basements and attics and shuttered dank rooms, the Eternal Light was kept alive by the Keepers of the Faith. “It was the Eternal flame that kept people connected to their Internal flame,” I say, hoping to emphasize that even in the most barren of places–the ghetto, the desert or a terrorizing psychic deadness– a new dawn can suddenly, mysteriously appear. “You have reminded me that I have a flame within,” she says, as our session draws to a close. Her words touch me, and the heat of my own bodily sensation reminds me again of the mysterious, alchemical way that her story moved me, that my story moved her, that connections heal. Our rhythms have created a new exhilarating sensation in me; it is if I have come home to the person I had always yearned to be as a therapist, the therapist I had longed to find as a patient. Our session is almost over and I wonder: how can I help Abby hold, nourish, nurture her flame? I wish to deepen our sacred moment, help her continue to struggle, look inward, seek out her internal, eternal flame. The warmth in my body spreads and offers me a suggestion. I ask her if she is willing to do an experiment. In asking her this question, she becomes co-creator, collaborator. Is she certain? I wonder. Above all, I want her to feel invited to participate, in control of what happens, open to accept or reject my invitation to join and create a sacred space. Turning, I open the drawer of my file cabinet, and reach in, searching for a box of candles and the matchbook I remember leaving there, reminders of a ferocious flash thunderstorm that had knocked out the electric power two years before. I hand her a large candle and a matchbook. “Starting tomorrow morning when you arise,” I say, “I want you to light this candle three times daily,” I instruct her. She wants more instruction: when should she light it? At special times? And for how long? I have no instructions to offer. “Let the flame move you, guide you, teach you. Own it. Embrace it.” I want her to own the flame in her heart, the flame of her life. I remain silent and smile and eventually, Abby leaves. The quietness of the empty room hangs heavily. I sit in the graying day, reminded that what nourishes, heals and renews, in both psychotherapy and in life, is love. We are most powerfully touched, healed and nourished, by sharing in the struggles of those we love, by loving, by being connected to others. My professional training as a therapist, consistently stressed the healing qualities that listening brings to the patient. Simultaneously, what has been emphasized has been the potentially damaging impact of the personal: personal activity and personal involvement. Yet, as time passes, my own experience continues to inform me differently. Although I continue to be an empathic listener and create a climate of quiet acceptance, at times, I am an active, interactive and challenging presence. As a therapist, I wear many hats, sometimes leading, often following. Sometimes I follow my patients, sometimes, I follow my instincts. At times it is from my feminist strength that I lead; at other times, the feminine gentleness is my guide. Multiple frameworks ebb and flow, informing my listening stance and my behavior in the room. moments. How we do therapy has a lot to do with who we are as people, from moment to moment, with the ebb and flow of our own flames that flicker within. One of our most important challenges is to carefully attend to our internal flames so that we can understand what they teach us about ourselves, our patients and the therapeutic encounter. Two weeks after that session, Abby found a meaningful position doing volunteer work as a social worker. Eventually she went back to graduate school in social work and her horizons again expanded. More recently, she met a new man, and my heart opens as I listen to her describe a relationship that brings her more satisfaction than she ever dreamed possible. Her work on herself is neither finished, nor complete, yet it is clear that a part of her is on the mend. And as she mends and grows, I grow and continue to be challenged as I wonder about the process of renewal and healing, for the longer I practice, the less certain I am about what works, what heals, and why. When Shira first became ill, at her initiation and invitation, a group of friends and relatives gathered to create a healing service. During the last ten months of her life, we continued to meet. Through prayer, song, and music, we created a community of care, for her and for us as well Individual members brought poetry, ritual, song and words of comfort into our group. Ultimately we all, including and especially Shira, came to accept that we have the power to care, but not cure. During every service, at least once, as a group we sang the words, “Help us find the courage, to make our lives a blessing” from The Mi Shebairach, the traditional Jewish Prayer for healing. The words and melody joined us to her, each other, and for me, to a more profound awareness than I ever of the fragility of life, the resilience of the human spirit and the power of connection to heal.